Google Ads has improved ad metrics to help advertisers clarify ad positions. 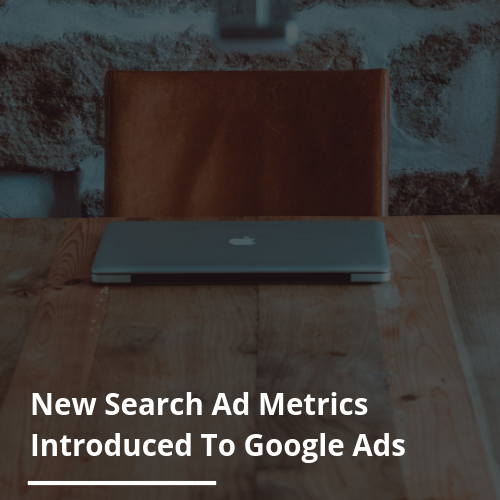 Google has introduced four new ad metrics that have been designed to help advertisers clarify the position of ads displayed in Google Search. This displays the percentage of ad impressions shown as the very first ad above organic search results. This is what most people refer to as position one. The percentage of your ad impressions that are displayed anywhere above the organic search results. The impressions that you received as the very first ad above the organic search results divided by the estimated number of impressions you were eligible to receive in the top location. The number of impressions received anywhere above the organic search results, in comparison to the estimated number of impressions that were eligible to be received in the top location.